Born to German immigrants in Indiana in 1862, George A. Boeckling was a salesman and real estate agent. 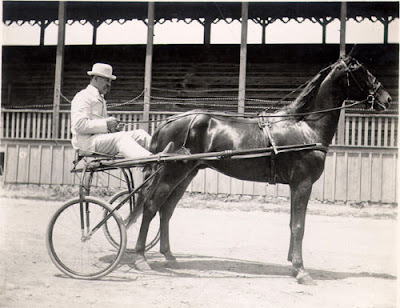 In 1897 he became general manager of the newly formed Cedar Point Pleasure Resort Company. Under Boeckling’s leadership, Cedar Point was transformed from a summer picnic area to a thriving amusement park with wide appeal. G. A. Boeckling spent several decades expanding the park, adding flower gardens, rides, and several hotels, including the Hotel Breakers. Steamships ferried passengers from Detroit and Cleveland. In 1908 the steamer G.A. Boeckling started providing local transportation between the city of Sandusky and Cedar Point. Thousands of visitors also arrived at Cedar Point on the Pennsylvania Railroad and Lake Shore Electric Railway. 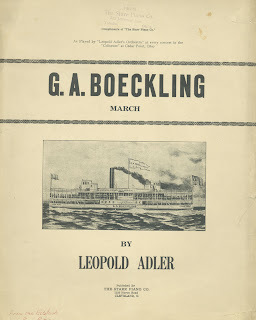 Always seeming to anticipate what would appeal to the public, Boeckling offered concerts, movies, and dancing, and encouraged military groups and businessmen to hold their annual conventions at Cedar Point. G.A. Boeckling was very public-spirited, a member of the Chamber of Commerce, Elks Lodge, Aerie of Eagles, and was charitable to local churches, veterans organizations, and youth clubs of Sandusky. In 1922 the Sandusky Register called him “the man who made Cedar Point.” George A. Boeckling died July 24, 1931, and is buried at Oakland Cemetery. Visit the Sandusky Library to learn more about G. A. Boeckling and the history of Cedar Point. especially considering that he did not finish high school!